Few things are scarier for parents than the prospect of their children coming into significant harm. Mindful parents will do everything they can to keep their children reasonably safe, but it is not possible or feasible to eliminate every potential threat. Still, the last place where a child should be in danger is within the confines of his or her room, playing with a toy. Imagine a parent’s shock and frustration, then, when a defective toy is responsible for a child’s injuries. In the instance of a defective product and resulting injuries, a product liability suit can compensate victims or their families on multiple fronts. If your child has been the victim of a defective or unreasonably dangerous toy, our Brooklyn personal injury lawyers are ready to fight for you. How Can Defective Toys Lead to Injury? The nature of the defect will determine what type of danger the toy poses, but statistics show that most injuries occur to children who are five years old and younger, and the most common types of injuries involve choking. Assuming a toy is intended for a certain age and is marketed as such, it is the manufacturer’s responsibility to ensure the toy is reasonably safe for that age group. In 2002 alone, more than 72,000 children aged five and under required medical attention due to injuries from toys. In response to these injuries, roughly 100 different toys are recalled every year, but sadly, these recalls are often reactionary rather than proactive. 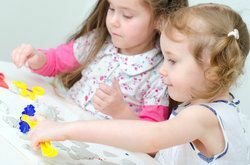 If your child has suffered from a defective toy that has not yet been recalled, you can take steps to amend the situation for both your family and other potential victims. Dangerous toys fall under the legal area of product liability, in which manufacturers, distributors, or retailers may be held responsible for a product that directly causes physical harm. Whether the product is defective or inherently dangerous, victims may be entitled to compensation for their injuries, especially if the liable party did not take steps to warn consumers or minimize the potential for harm. By working with an experienced personal injury lawyer, you can rest assured that every step will be taken to investigate possible product liability. Our team understands the nuances of such a case, including the many factors that may be responsible for defective products - from defects in the original design to unsuitable instructions or packaging. In the event the liable party is determined to have been negligent in their duties, you can receive full compensation for your child. This includes compensatory damages for medical bills, ongoing medical care, and pain and suffering. If injuries are severe enough or the product is deemed to pose significant danger, punitive damages may also be awarded as a way to punish the guilty party. We are ready to assist you and your family with any case of personal injury, from defective toys to other products, workplace accidents, and more. Contact us today to speak with one of our attorneys and learn whether you may have an opportunity to be fairly compensated.